Göran Bror "Benny" Andersson (born in Stockholm on 16 December 1946) is a Swedish musician, composer, a former member of the Swedish musical groups Hep Stars and ABBA, and co-composer of the musicals Chess, Kristina från Duvemåla, and Mamma Mia!. 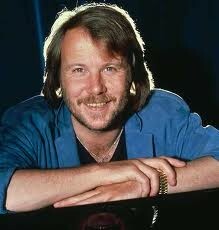 As of 2011 he is active with his own band Benny Anderssons Orkester (BAO! ), and was executive producer for the film version of the musical Mamma Mia!. Swedish 7", produced by and featuring Benny Andersson. US white label promo 7"